Do you get enough sleep? I don't. During weekdays, I only get to have 4-5hrs of sleep. Sometimes, I get longer hours but that only happens when I go straight to bed as soon I arrive from work. I am usually dead tired after a day's work so as soon as I hit the bed, I'll be off to dreamland. Okay na sana, but the thing is, I'd still have my makeup on. And if ever I wake up in the middle of the night, I'd be too lazy (and sleepy) to get up and wash my face. The result? My skin breaks out. Sometimes I get lucky that my skin would still behave despite the ordeal it goes thru but I would notice that my skin would look dull, tired and well, old. Yaiks! I know I'm not getting younger but that doesn't mean it should show up on my skin. Tama!? I wish to get that youthful glow back despite my already tita-stage age. Well, who doesn't? I've been contemplating to go back to Obagi Nuderm but with this scorching heat, I think I would have to wait until the (desert) winter kicks in again. I was on the lookout for a good skincare regimen that will help my skin look and feel good without the need to undergo facials and peels. And so when I was given the chance to try out the Radiance line from Burt's Bees, I know I am in for a good treat as I've read a lot of good things about it. 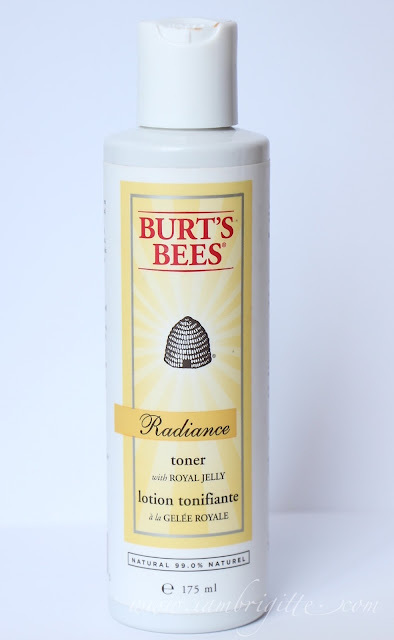 The Burt's Bees Radiance Line contains one of nature's most nourishing substances, Royal Jelly, to help boost the skin's natural radiance. This ingredient is also known for its moisturizing, healing and anti-aging properties. The Radiance skincare line is consists of 8 skincare products: Cleanser, Toner, Serum, Day Cream, Day Lotion, Eye Cream, Night Cream and Body Lotion. I was able to try 4 and so let me share with you my experience in using these products. Removes dirt, oil and makeup to reveal a smooth and radiant complexion. It is a mild face wash with Jojoba Beads and a Fruit Acid Complex to help encourage normal skin cell turnover, making it appear brighter and younger looking. This leaves my skin feeling soft, smooth, hydrated and it works well with my Clarisonic. It doesn't lather as much but it's fine. 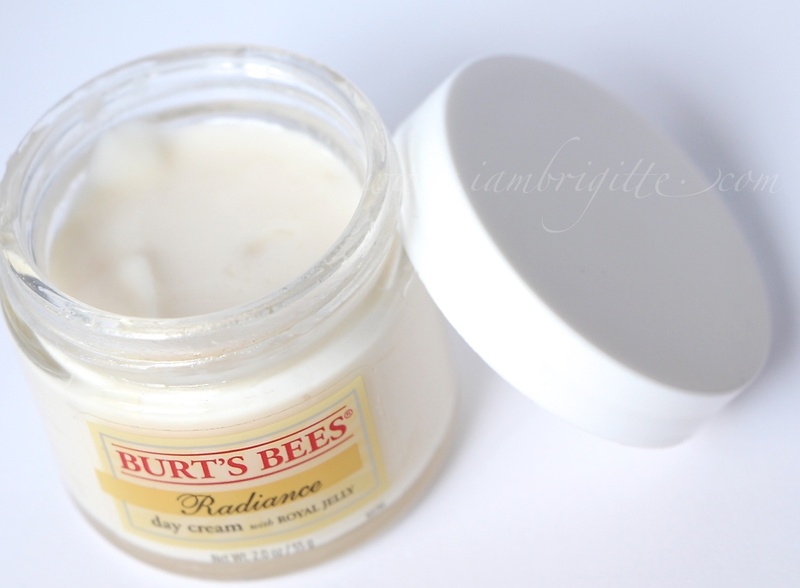 It's gentle on the skin and despite using it when my skin was breaking out, it didn't sting. I feel like I can skip my moisturizer after using this cleanser, I actually did for a couple of times (when I'm too lazy to go through my entire night time skin ritual) and my skin didn't feel tight or dry. It does say in the bottle that it can remove makeup, but I don't think it's made for waterproof makeup, most especially mascara. It comes with a pump, yay! The cleanser itself is a rich, smooth creamy white lotion that doesn't smell fruity or flowery. It's smells different, but I like it. It has jojoba beads but I'm guessing it's either they are too few or too little to be noticed/felt. This toner removes the last traces of dirt, oil and make-up, revealing a smooth and radiant complexion. 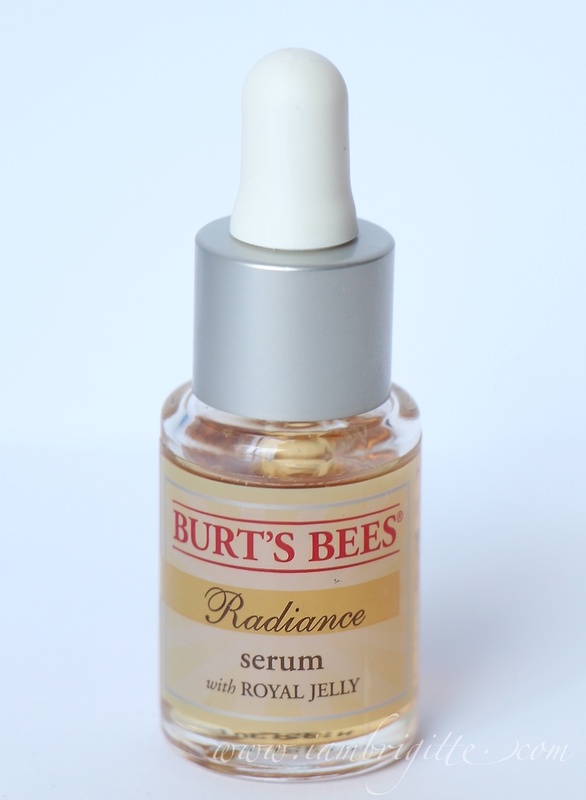 Royal Jelly, one of nature's most nutritious substances, is added to help enhance skin's natural radiance. I'm used to harsh toners (or astringents) so this one's new for me. Unlike the other toners that i've tried, this one doesn't have alcohol. It doesn't dry out my skin, instead it leaves me with a refreshed, supple and hydrated feel. It smells like delicate floral, which can still be a bit overpowering to those who doesn't like any fragrance on anything they apply on their face. It doesn't bother me really, as I even find it relaxing whenever I use it. 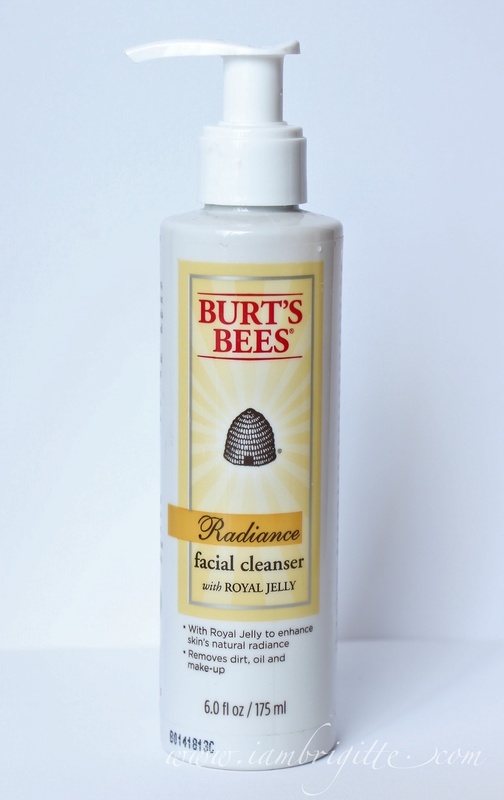 If you are looking for a toner to clear your skin from breakouts, this toner isn't for you. But if you are looking for a toner that will balance your skin's PH and take out any remaining dirt and grime that your cleanser might have missed, then give this one a try. Infused with Royal Jelly, one of nature’s most powerful nutrients, this daytime facial moisturizer helps enhance skin's radiance and helps minimize the appearance of fine lines and wrinkles. With our Radiance Day Cream, your skin will look and feel more moisturized and smoother for naturally radiant skin. It is formulate with nourishing Shea Butter to help moisturize for skin that feels smoother and looks younger. 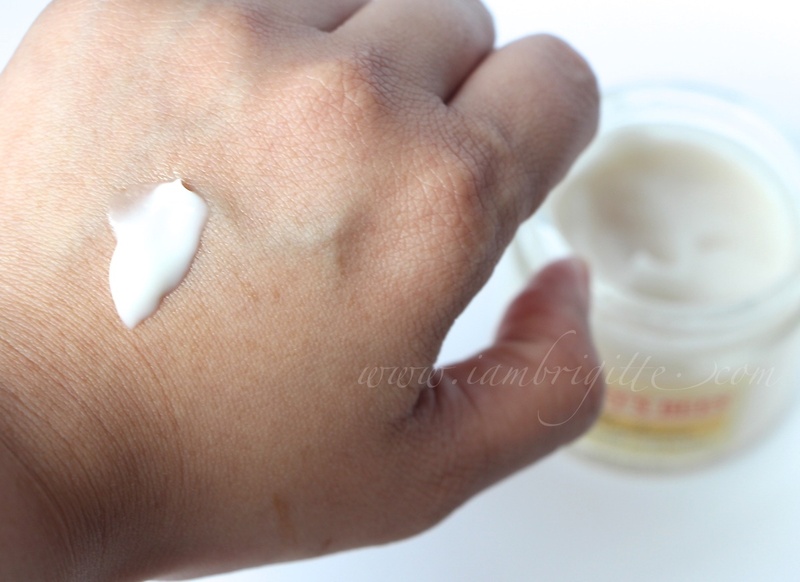 Consistency of this cream is a bit thick but it spreads out easily on the skin. At first I was scared to apply this at day time as I thought it would make my already oily skin a lot oilier. But I was wrong. It sets in nicely and makes your skin look healthier, more supple and radiant. It doesn't have SPF though, so I still apply sunblock on top of this. 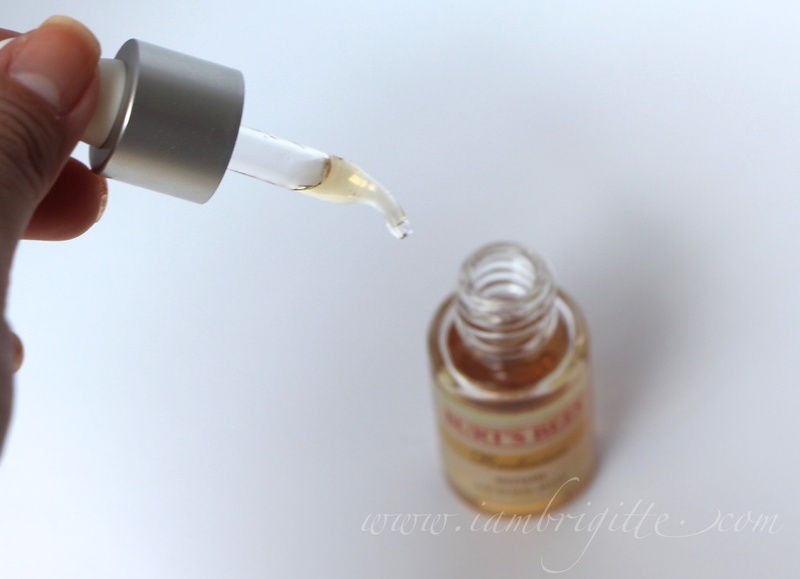 Our best natural serum for dull skin needing a youthful glow. Infused with Royal Jelly, this lightweight serum helps enhance skin’s natural radiance while reducing the appearance of fine lines and wrinkles. Formulated with Licorice Root Extract known to help even out skin tone and Glycerin for moisturization, you’ll get naturally radiant, younger-looking skin. After using this for weeks, I can say this is the star product of this skincare line. I usually find serums to be a bit thick, sticky and heavy on the skin but this baby feels like WATER! It feels so light on the skin and it doesn't have any scent to it too! It does take a while to set on the skin so I use it at night (just because I am always in a hurry in the morning). But I did try using it at daytime and it really makes my skin looking radiant in an instant. I love this product and among all the items that I've tried from the Radiance line, I am sure to re-purchase this serum. Overall, I like this skincare line but if you are to ask me what products in this line I would re-purchase, I'd say the cleanser and the serum. For a toner, I need something that will help my acne-prone skin stay clear (I need something with salicylic or glycolic) and I need a face cream that will help in whitening those pesky acne marks. But for those who have already clear skin, this radiance line is going to be a great choice if you are looking for something that will help maintain your already good skin, plus make it more radiant and younger-looking. But if you are like me who deals with problematic skin, you need a bit more help. Though I'd really want to keep using the cleanser (I love how it makes my skin feel clean and moisturised) and the serum (radiance in an instant!) as add-ons to my skincare regimen. 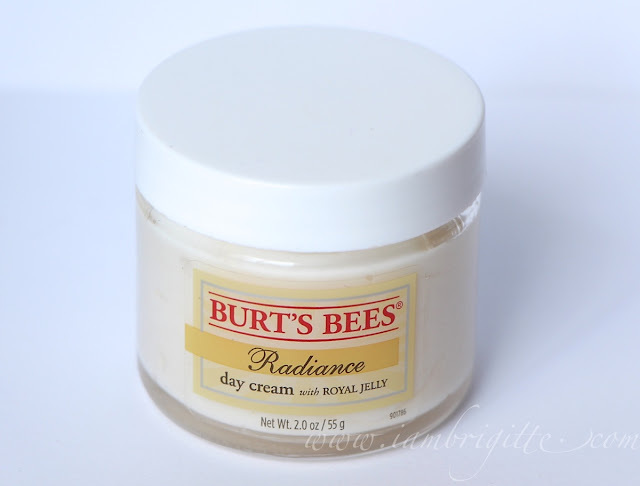 I see that Burt's Bees have Anti-Blemish and Daisy White skincare line which I think are more appropriate to my skin needs so I'm gonna check them out. Too bad Burt's Bees is not available here in the UAE, sniff! By the way, if you are in Manila, you can have your Burt's Bees products delivered right on your doorstep. 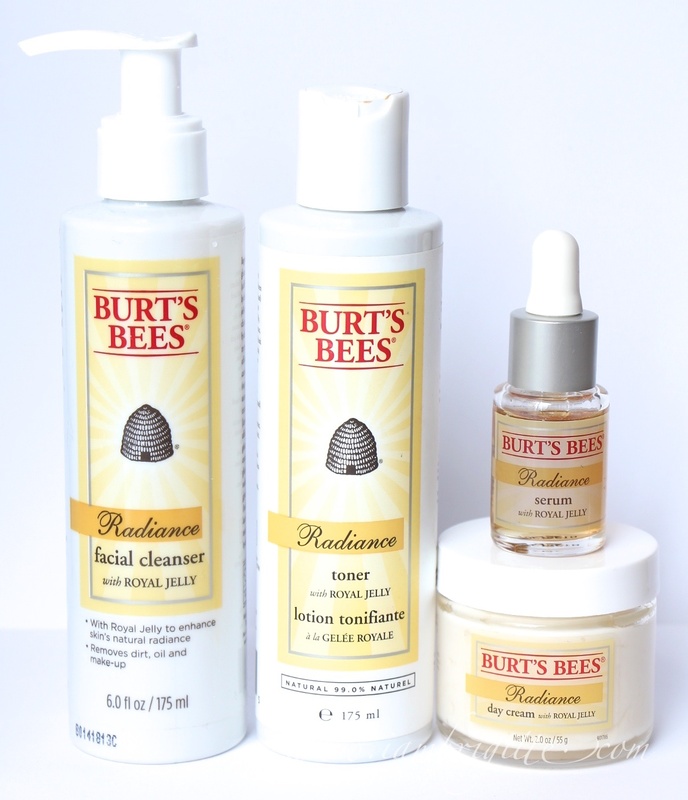 Check out www.burtsbees.com.ph for their complete skincare lines and other products.